Walk into Kahwa Coffee’s corporate office and the rich scent of roasting beans hits you like a tidal wave. Tucked into an unassuming strip mall in St. Petersburg, Kahwa’s small office and roasting room belie the growing reputation and reach of this beloved, locally-grown coffee company. 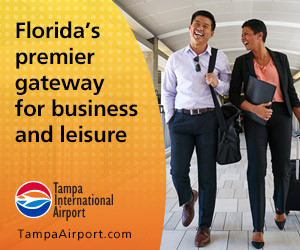 With 12 locations between Tampa, St. Petersburg, Bradenton, Sarasota, a recently opened Miami shop, and over 800 wholesale accounts, what started as a mom-and-pop labor of love is quickly becoming a big player in the region. Now, that reach is even greater with a recently announced sales expansion into Publix store cafes. 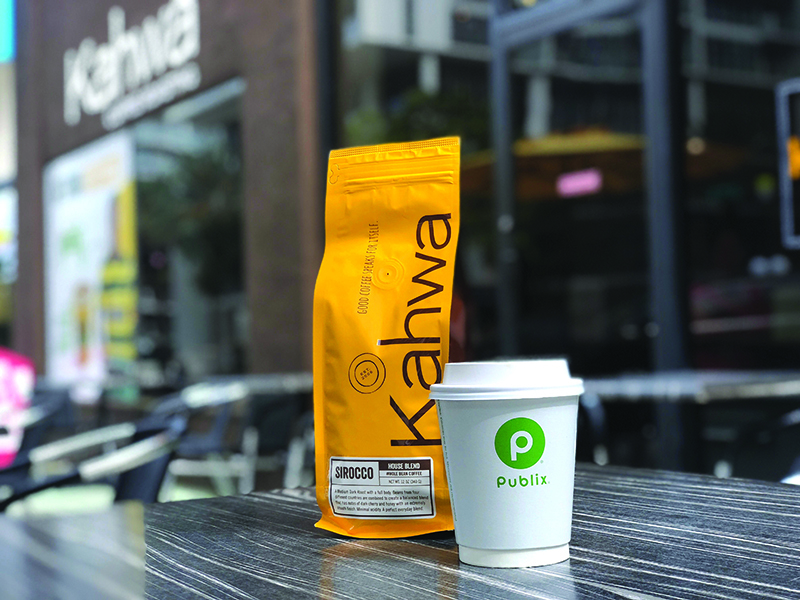 Currently a pilot program operating in four locations in Bradenton, Winter Park, Orlando, and Tallahassee, Kahwa Coffee could be served in up to 130 Publix store cafes across the southeast by the end of the year. Breaking into Publix has been the dream of co-founders Raphael and Sarah Perrier ever since they began roasting and bagging beans by hand twelve years ago, and then driving the bags around to local businesses. 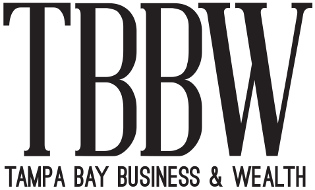 The couple is quick to credit long-time distributor Tampa Beverage Solution (TBS) with helping to bring the two companies together at a local food and beverage show. Publix was interested in incorporating a local chain and TBS led the grocer directly to Kahwa. Publix’s decision to drive out Starbucks stores in favor of a local joint tells us a lot about the growing locavore movement in Florida, and in the region overall. As more shoppers seek out local businesses and products, big chains like Publix seem to be shifting to meet growing demand. But as with any kind of growth, Kahwa will inevitably have its naysayers and skeptics. Loyal customers who look askance at what they perceive to be a corporate sell-out (even if the corporation is a local one), or who worry this new partnership will change the fundamental fabric of their beloved local favorite. To this, the Perrier’s say they will remain the same. Those values include responsibly sourcing the best beans from Africa, South America, and India, for Kahwa’s signature blends. It also means ensuring that every beverage is made to the company’s exacting standards, including those made at a Publix store café. 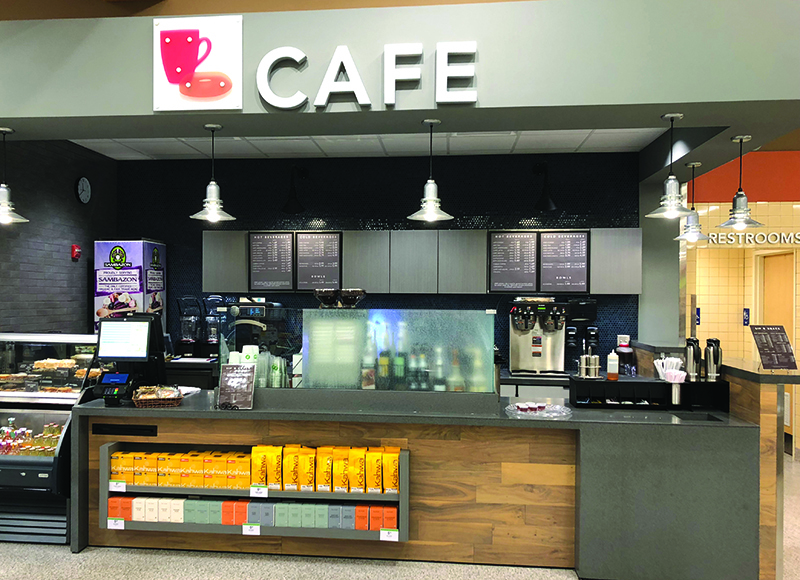 The cafes will be run by Publix employees, but there are Kahwa blends, equipment, and training, to make sure employees know how to make its signature coffees and lattes. The Perrier’s take pride in creating coffee blends and drinks that are known throughout the region, but they’re equally proud of their community involvement. Kahwa regularly donates to over 150 charities a year – supporting local theaters and kid’s organizations, and even creating a special Evan Longoria blend that raised over $25,000 for the charities he supports. The Perrier’s are also committed to sending a message about sustainability and the environment through their business practices. Kahwa was one of the first companies to join the “No Straws St. Pete” campaign, with the goal of getting consumers to say “no straw” when ordering drinks. They are now offering paper straws and selling reusable glass straws, for which Sarah’s mom stiches up fabric carrying cases that are also sold in the cafes. In addition, all the company’s cold beverage cups are made from corn and are 100 percent compostable. The couple is also looking into solar energy to power their coffee roasters and cafes. As to the future of Kahwa, the Perrier’s have their sights set on continued growth. The company’s bagged coffee is now sold in six Whole Foods stores, and the couple is eager to expand that relationship. They are also launching a line of ready-to-drink cold brew coffee and lattes, which they plan to sell at their cafes and local stores. With half of Kahwa’s business currently coming from wholesale customers, continuing to expand that channel is also top-of-mind.